Online Education: Which Programs Are the Best and Worst to Choose From? 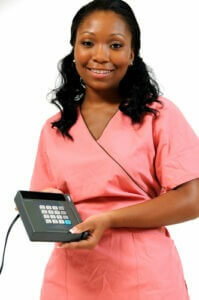 Female medical professional holding a credit card processing machine. Photo courtesy of Shutterstock.